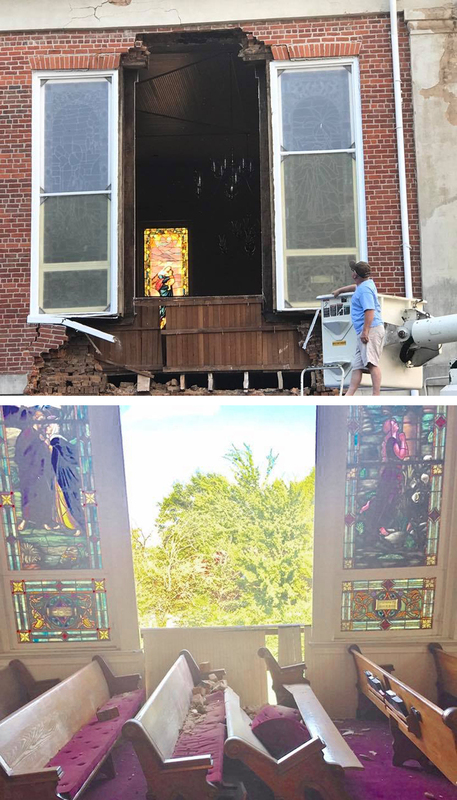 The Holly Springs First United Methodist Church will return to its home this Sunday, Feb. 25, after six months of repairs due to the collapse of a wall. Congregants have been meeting at the Rust College chapel while the church has been under repair. The announcement was made on the church's Facebook page. 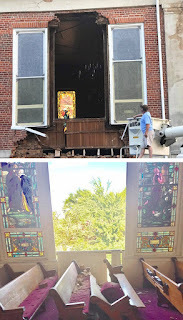 Whether due to Divine Providence or luck, two priceless stained-glass windows were nearly lost in the wall collapse but sustained no damage. I don’t know the exact construction date of the church, but it was standing at the time of the War Between the States as Union soldiers used it as a stable for horses. I would assume the windows are as old as the church and always find them a sight to behold whenever I visit. 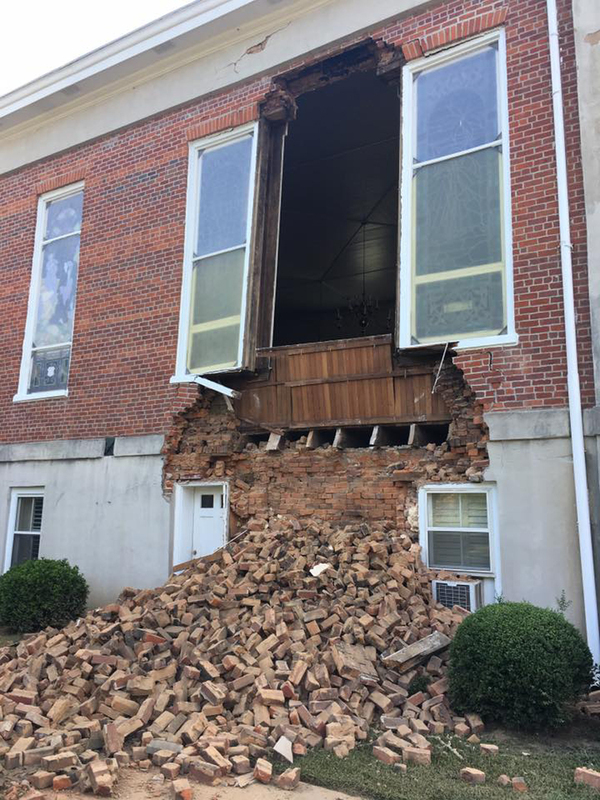 You can see in the photos above just how serious this wall collapse was. The church wall collapsed on August 22 following heavy rains caused by Hurricane Harvey. Church members rushed to protect the church with tarps following the collapse, as rain from Hurricane Irma was on the way. Because of the age of the building there were fears that the entire wall might give way, destroying the church. The Holly Springs United Methodist Church is one of the few churches these days to have a traditional service. For those who prefer the “Old Time Religion,” this is the place. I hope to join them on Sunday and everyone is welcome. Sunday School is at 10 a.m. with Worship Service at 11 a.m. Photos taken from Facebook posts by Susan Kemp Jones and Lacy Horton Tollison.